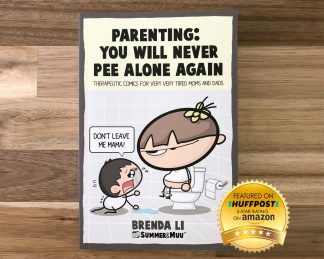 View cart “Comic Book | Parenting – You Will Never Pee Alone Again” has been added to your cart. 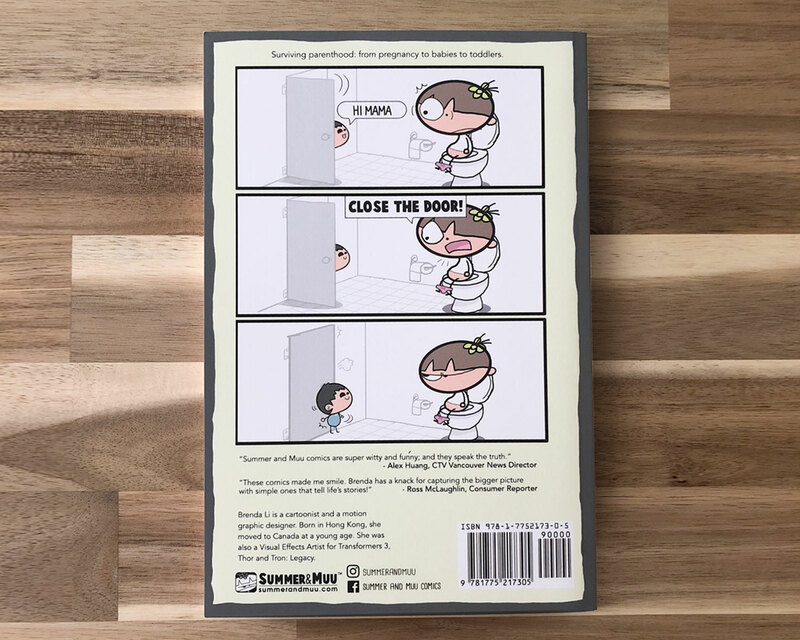 This parenting comic book was sold out twice, but we’re now back in stock and ready to ship! 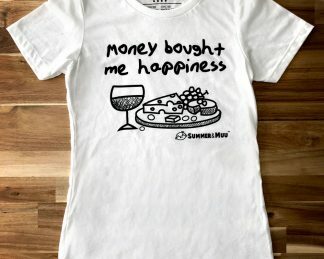 Featured by Parents.com, Aplus.com and Huffington Post, Summer and Muu Comics are not only hilarious, but they are also therapeutic and you immediately feel better. 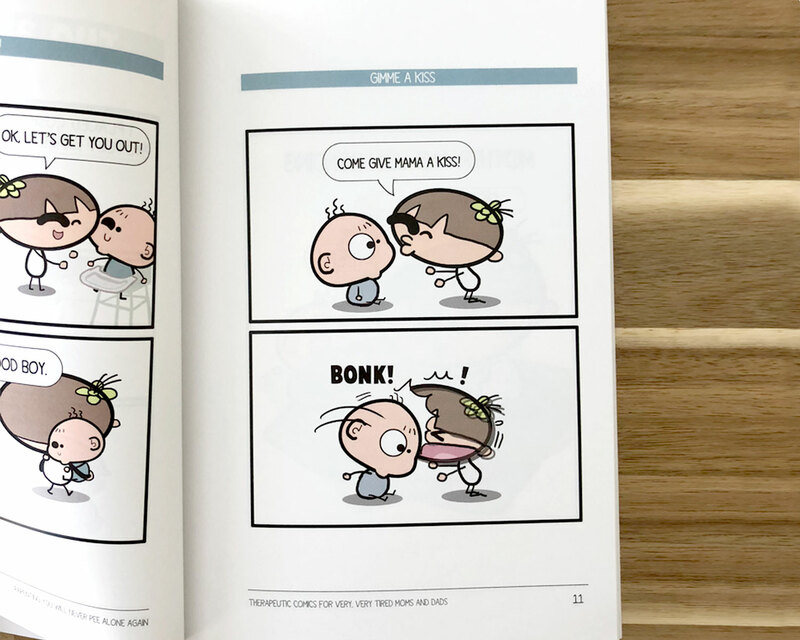 By the award-winning artist and popular Facebook/Instagram cartoonist, Brenda Li, Summer and Muu Comics are followed by over 55K fans as her comics are hilarious and therapeutic. ‘Parenting – You Will Never Pee Alone Again’ shows that parenthood is heaven and hell – any parent can relate. 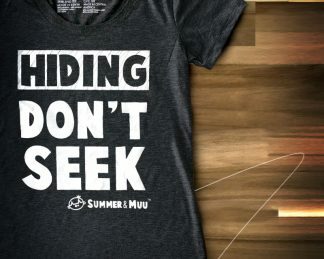 Kids are predictably unpredictable and consistently inconsistent, and these Summer and Muu comics illustrate exactly that. These cartoons also remind us of how much we love our kids and it doesn’t matter what they do, our love for them is unconditional. This book is definitely a page-turner – you will laugh, like out loud. ‘Parenting – You Will Never Pee Alone Again’ contains over 100 comics, including fan favorites and brand new never been seen before cartoons. 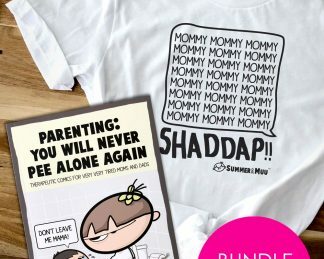 Are you a new parent, a tired parent, an impatient parent, or all of the above? 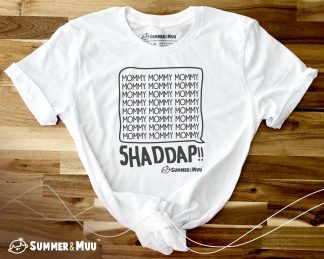 Are you are a new mom, pregnant mom, or have an upcoming baby shower to attend and need gift ideas? Then this book is perfect! 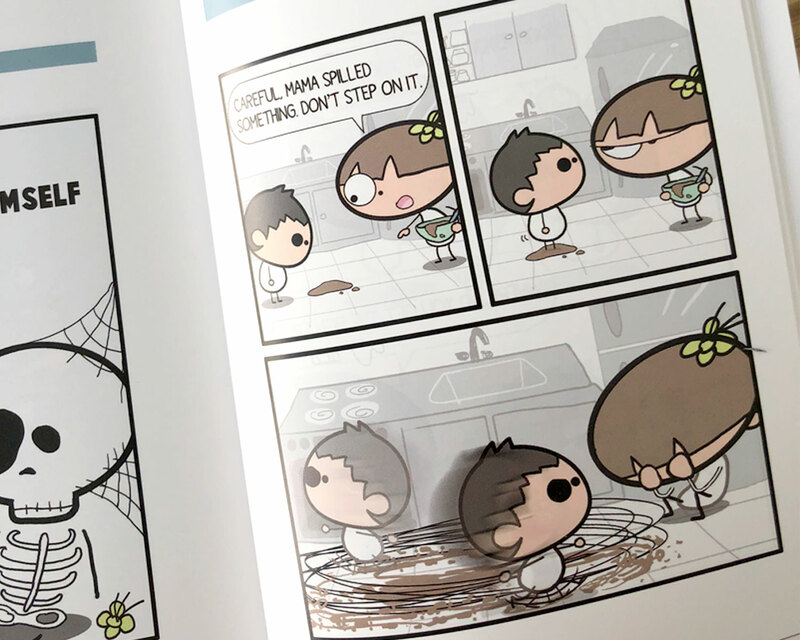 If you like Fowl Language, New Mom Comics and Rory the Dinosaur, you would definitely love this book. 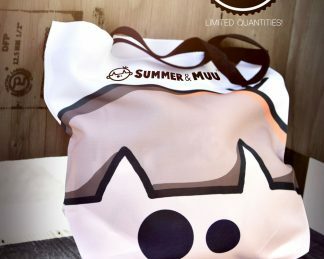 Brenda Li, the award-winning artist behind Summer and Muu Comics, was born in Hong Kong. She moved to Vancouver with her family at a young age. Known for her funny web comics, she has been featured on HuffPost Parents, television, radio, and magazines. Brenda graduated from The University of British Columbia studying Economics. But soon she knew she was not a number person, so she started learning graphics, animation and visual effects on her own. Not only has she become a cartoonist and a motion graphic designer for major TV networks, but Brenda was also a Visual Effects Artist for Hollywood films such as Transformers 3, Thor and Tron: Legacy. Her 15 years of professional experience in the creative entertainment and broadcast industry allows her to create iconic characters as she finds humour in common parenting chaos. Love this book! So easy to read and very relatable. 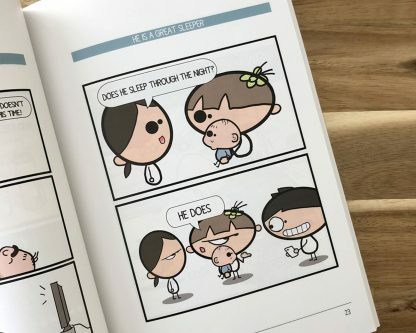 As a mommy of two little kids, every comic seems to be talking about my life. Even my kids find it funny! 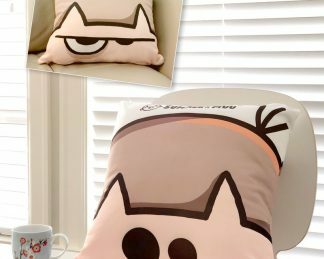 Makes a great gift, bought a few for my family and friends and they love it too! 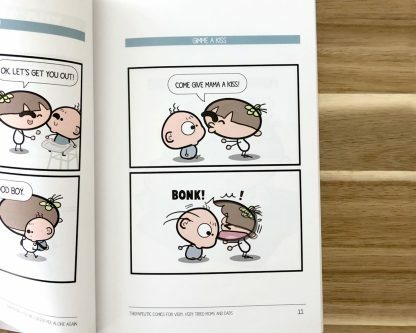 This book is the best book Ever!? I laughed so hard the entire time! Can’t stop reading it? I’m from El Salvador, I always followed these comics, because I immediately identify as mom! 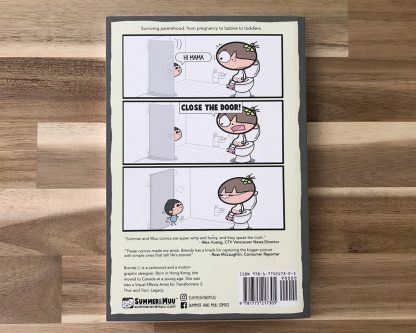 I moved to Canada and it was the first things I ordered, I am happy with my book, but my surprise was that my son loved it. I love your work and it certainly lights up my day when I’m feel burnt out from being a mom or wife. If you want a good laugh & comfort, this book would be perfect! My life in a comic book ! Thank you for the laugh ! I love it so much ! !